Welcome to the new blog of Richard H. Lee, MD Plastic Surgery. We hope this blog will serve as an important tool to share valuable information about our practice and new developments in the field of plastic surgery. As part of our commitment to patient education, we are proud to present this online resource to help you learn more about us and our wide range of plastic surgery services. With more than 15 years of surgical experience, board-certified plastic surgeon Dr. Richard Lee understands that the keys to success lie in individualized patient care; never a one-size-fits-all approach. He takes the time to understand your unique goals, answer your questions and explain all of your treatment options. Together, you and Dr. Lee will develop a tailored strategy that is customized just for you. Procedures are performed at an on-site surgical center fully accredited by the Accreditation Association for Ambulatory Health Care (AAAHC). This distinction signifies an unwavering commitment to excellence and the safety of our patients. 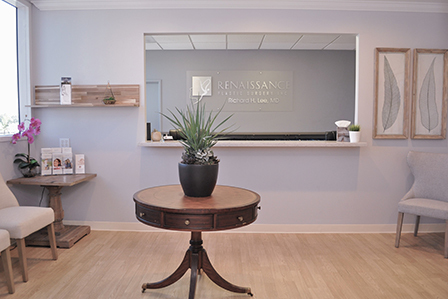 When you choose Richard H. Lee, MD Plastic Surgery, you can expect the highest levels of care, results and safety. You deserve to look and feel your absolute best. Contact Richard H. Lee, MD Plastic Surgery today online or at 949-548-9312 to schedule a confidential consultation. We proudly serve Newport Beach, Irvine, Santa Ana, Orange County and neighboring communities in the Greater Los Angeles area.